Two-time Georgia PGA Junior Tour PoY has been named 2019 NAIA National Men’s Golfer of the Week. So grateful to be invited to the Atlanta Athletic Club Girls Invitational to play, and to hear Dr. Bob Jones IV speak afterwards. Weather shortened to 9 holes, but such a beautiful course and amazing experience! Logan Attaway drains a long birdie putt on the par 4, 16th at Atlanta Athletic Club. The Final Round of the #SouthGeorgiaJuniorClassic is ready to go! Balls in air at 8 AM at Glen Arven Country Club! 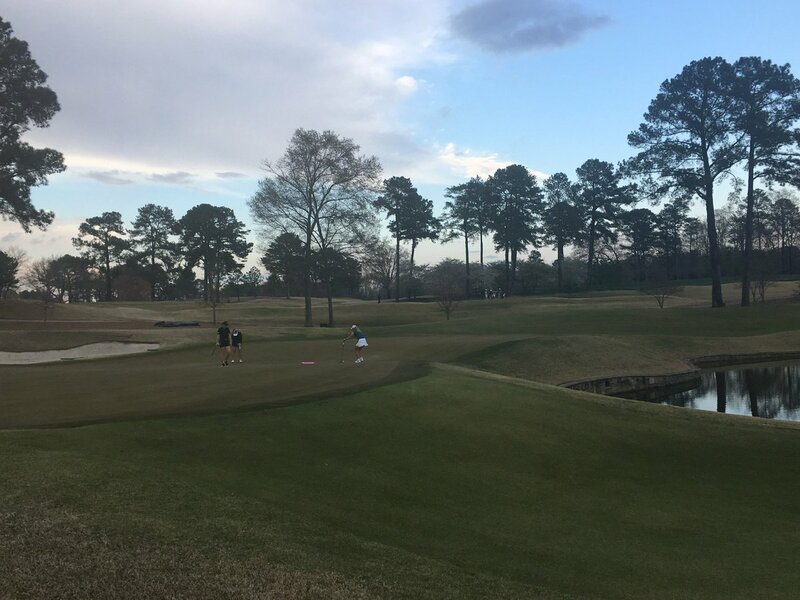 Georgia PGA Junior Tour added 68 new photos — at Horseshoe Bend Country Club. Georgia PGA Junior Tour is with 이익수. Two-time Georgia PGA Junior Tour Player of the Year has been named 2019 NAIA National Men’s Golfer of the Week. Eli Scott has won his first collegiate tournament. Scott is ranked No. 2 in the country! This is fantastic! Congratulations Eli!!! What a great accomplishment! Congrats to Eli! Wow! I know you are so proud! Congratulations Eli! You are awesome! Wow congratulations, Eli. So proud of you!!! Congats to you and your son. I'm sure it makes you proud. Congratulations Eli! Proud of you. Congrats! So proud of you ! Awesome news and congratulations to an answering golfer and man!! Whoop whoop!! Way to go Eli! Congratulations!! Way to go Eli!! You’ll be IN the Masters here shortly!! Congratulations! Hard work pays off! Tomorrow is the day! Best of luck to the SIX 2019 Drive, Chip & Putt National Finalist representing Georgia! Georgia PGA Junior Tour added 89 new photos — at Glen Arven Country Club. The Georgia PGA Jr Tour is designed to teach the values of sportsmanship, honesty, self-discipline, integrity and competitive spirit through the game of golf. This will be accomplished by conducting competitions on some of the state’s finest courses. The Georgia PGA Junior Tour is open to all males and females between the ages of 11-18. Age is determined upon the first round of a tournament. All entries are subject to rejection at any time by the Georgia PGA Junior Tour. The Georgia PGA Junior Tour provides a competitive, yet fun tournament atmosphere, encompassing a 10-month season of golf played on some Georgia’s best golf courses. The 2019 membership fee is $80 per member, effective January 1, 2019 through December 31, 2019. The membership fee must be received prior to the first event in which the junior wishes to play. Returning Members – 2018 Georgia PGA Junior Tour members will be able to use their 2018 login and password to sign in and register for the 2019 membership. If a login or password has been misplaced from last year, please email Michael Rakowski at mrakowski@pgahq.com to obtain that information. New Members – Juniors who were not members in 2018 will be required to complete a registration form online. Applicants can CLICK HERE to be taken to the registration page. Once the application has been accepted, the player will receive notification via e-mail, and with the member’s login and password and will then be allowed to register for tournaments. Schedule of 14-16 Georgia PGA Junior Tour Events. Ability to qualify for the Georgia PGA Junior Tour Championship in November. Ability to earn rankings with Junior Golf Scoreboard and Global Junior Golf Ranking. Ability to earn AJGA PBE Stars. Membership Gifts will be distributed at the first tournament played in by the member. All yardages are subject to change based on individual courses and the condition of each course. The 14-15 and 16-18 Boys divisions and 11-14 and 15-18 Girls divisions will play from the same set of tees and are eligible to compete for the Overall Championship of a tournament. One Boy and one Girl overall winner will be awarded. A player’s age division is determined as of their age on the first day of each tournament. For example, a player who turns 16 on July 1st will play all events before July 1st in the 14-15-age division, and will be automatically moved to the 16-18 division after that date. If that player turns 16 on the first day of an event, he or she will be moved into the 16-18-age division for that event. If a player changes ages in the middle of the season, their Player of the Year points for that age division will be lost and they will start fresh in his/her new age division. If a player does not want to lose his/her points, they may “play up” a division at any point during the year. The request to declare to “play up” must be made before the registration deadline of a tournament to be considered. Requests to declare to “play up” will not be accepted once tee times are made for a tournament, and the player will have to wait until the next tournament in order to participate in an older age division. Tournament entries will be accepted on a first-come, first-serve basis for each event after the tournament entry date is open. No entries will be accepted before this date. Members will have priority for the first two weeks of each entry period before entries open to non-members. All entries must be registered online with the Junior Tour office by the stated deadline. Most tournament entry fees will be $160. To enter online, CLICK HERE and select the tournament you wish to register for. Registration is limited to the first 84 players for most Georgia PGA Junior Tour events and is on a first come first serve basis, with no consideration for age division or gender. Refund: The membership fee of $80 is non-refundable. Full tournament refunds less a $10 processing fee will only be granted prior to the entry deadline of each tournament. After the entry deadline, no refunds will be given. Withdrawal: A player must notify the Junior Tour office as soon as they wish to withdraw from a tournament. With most tournaments having a waiting list, it is important to notify the Junior Tour office if you are not going to play so we can fill that spot. Please email Michael Rakowski at mrakowski@pgahq.com or call (678) 461-8600 to withdraw. No Show: If a player fails to properly withdraw from an event, and does not play, it will be considered a no show, and that player is subject to a suspension from the next event in which they are registered to play. A second no show will result in suspension from the remainder of the Junior Tour calendar year schedule. Each host golf course will set aside some time for practice rounds prior to their tournament. Practice round information will be listed on the Georgia PGA web site at www.georgiapga.com and each player should contact to host golf course to set up a practice round. 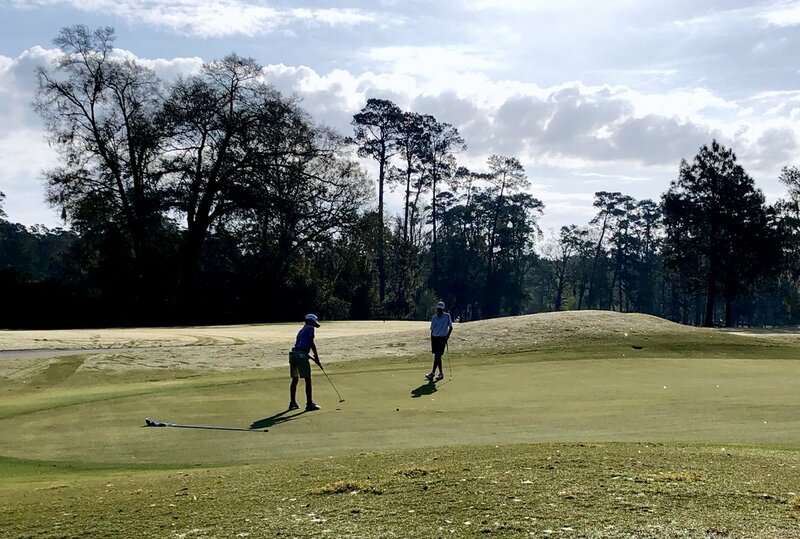 Pairings for all Junior Tour events will be made by random selection groups of two or three players based on age group and gender for the first round of play at each event. For the second round, the field will be re-paired by score. Field size and number of players per age division will dictate which divisions tee off in which order. For all events, requesting starting times or specific groupings will not be accommodated. Players will NOT be called to their tees. Each contestant is responsible for obtaining his / her starting time prior to the round. Please arrive to your starting hole at least 10 minutes prior to your scheduled tee time. 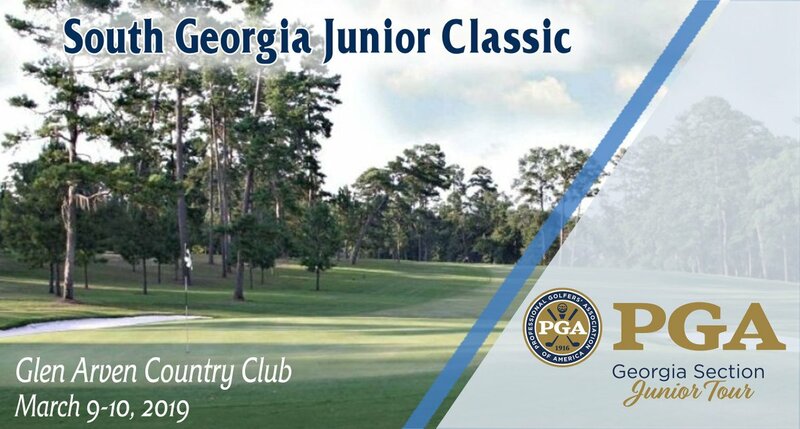 Starting times will be posted on the Georgia PGA website, Georgia PGA Junior Tour App and emailed to each player. Please note the date for each tournament that Round 1 tee times will be available. This can be found on the Tournament Information page for each event on the Georgia PGA website. Caddies are not permitted at any Junior Tour event. Each player must walk and carry their clubs or use a pull cart where permitted by the host facility. USGA Rules of Golf and the Georgia PGA Rules of Play Card shall govern all play, in addition to local rules on the Notice to Competitors (Rules Sheet), which is distributed at every event. Be sure to read the Rules of Play Card in its entirety prior to your first event. Distance measuring devices are allowed in all Georgia PGA Junior Tour events, assuming the device measures distance ONLY. If during a stipulated round, a player uses a distance measuring device to gauge or measure other conditions that might affect his play (gradient, wind-speed, etc. ), the player is in breach of Rule 4.3, for which the penalty is the General Penalty for the first breach and for the second breach, the penalty is Disqualification. 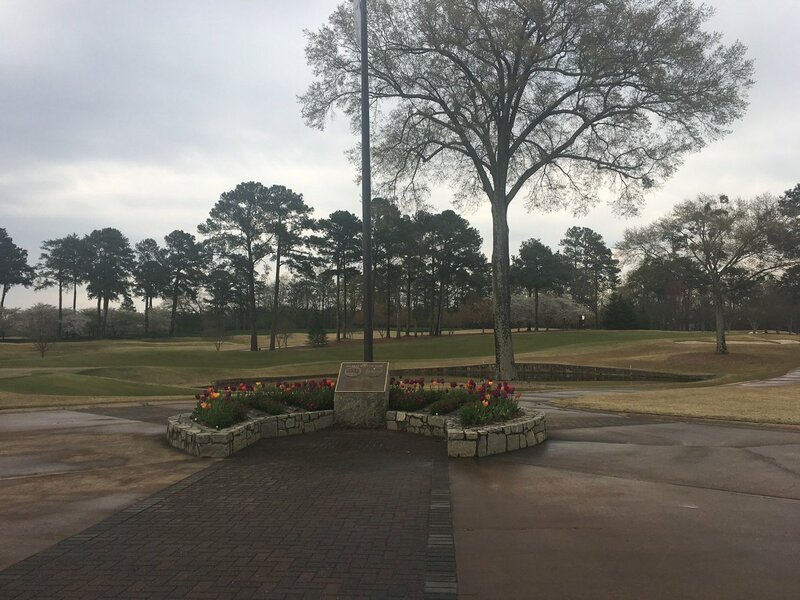 An average pace of play is set for each Georgia PGA Junior Tour tournament based on yardage and difficulty of each hole. Each player will receive a Local Rules Sheet when arriving to his or her starting tee, which has the allotted time per hole. According to Rule 5.6 Unreasonable Delay; Prompt Pace of Play, the player must play without undue delay and in accordance with any pace of play guidelines that the Committee may establish. Between completion of a hole and playing the next teeing ground, the player must not unduly delay play. Each player must follow the ready golf procedures during their round. When arriving to your tee shot, you must determine your yardage and be ready to play as soon as your fellow competitors hit. If you are the first to hole out, you must gather your equipment and head to the next hole. The second player to hole out is responsible for picking up the flagstick while the final competitor finishes. You must walk with a purpose at all times. Each player must play without undue delay, which is defined as taking no more than 60 seconds to play a shot. Those players who are first to play from a given area (tee, fairway, green, etc.) will have 15 extra seconds to play their shot. A group will be monitored for pace of play based upon their time par and position (staying up with the group in front). 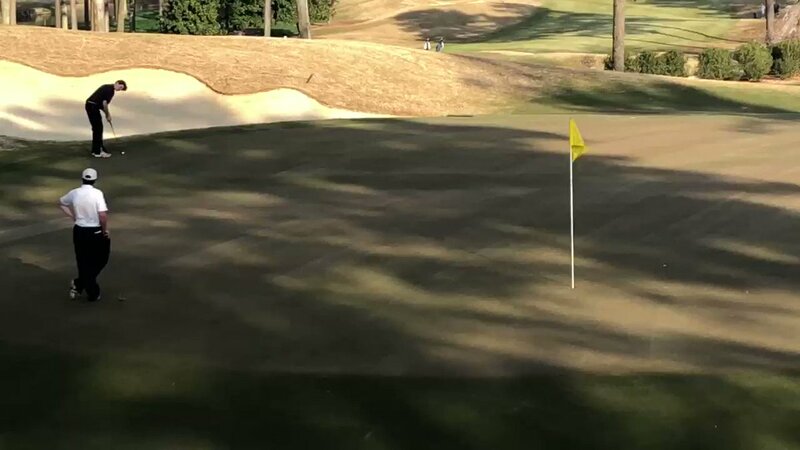 If any group falls behind their time par, the group will be given notice by a Georgia PGA official. The official will give the group three holes to make up the time. During this three-hole stretch, the rules official will stay with the group ensuring that time is being made up. If the group fails to make up time during the three-hole stretch, they will remain on the clock until the end of their round. If the group fails to make up the time before completing the round, they will be issued a 1 stroke penalty for undue delay. Notification: Immediately after all of the players have left the teeing ground, but before the next shot, a Rules Official will inform a group that they are out of position and that they will be monitored and timed. It is the player’s responsibility to recognize when they have fallen out of position. Penalties: First Breach of Round = 1 stroke penalty to each player in the group. If the group fails to make up lost time or fall back into position before the completing of play, they will be issued a 1 stroke penalty for undue delay. Penalties are to be added to the final hole of the round. When a group will be notified: Given when a group is more than 15 minutes behind the group ahead (out of position) and over the allotted time. Position: First Group(s) off Either Tee: The first group(s) will be in breach of the pace of play policy if they take more than the allotted time to finish a hole until they reach (within 15 minutes) any group ahead. After they reach any group ahead, both conditions must be met to be in breach of the pace of play policy. Position with Group Ahead: To stay within 15 minutes of the group ahead, players should never have an open hole and they should be in the fairway on par 4’s and 5’s when the group ahead leaves the green. To remain in position, at least one player from the group must have a ball in play on the hole of the group ahead of them. Allotted Time: the maximum time allowed to complete play of the course. The allotted time is predetermined by the Tournament Committee and may be adjusted between rounds. Time for ball searches, rulings and walking time between holes is included in the allotted time. The allotted time will be printed on each scorecard and posted at the first tee. Timing: a group’s completion time at each hole is measured when the flagstick is replaced in the hole once all players in the group have holed out. Appeals: if a player is concerned about slow play of one of their competitors they must remind that competitor of the Pace of Play Policy and encourage them to play more efficiently. The player may ask an official to monitor the group during any point of the round. Every competitor must return a signed scorecard even if the card is marked “no card”. It is not sufficient to merely tell someone at the scoring table you are “no carding”. If you tee off, you must turn in a scorecard. If a player must leave a tournament site because of illness or injury, a tournament official must be notified. Any player failing to notify a tournament official and turn in a scorecard will not be eligible to participate in their next scheduled event and no refund will be made. Completion of 18 holes by all contestants will constitute an official event for each 36-hole tournament. It is unlikely that an event will be rescheduled due to inclement weather. Refunds on player fees are subject to vary based on agreements to host facilities and how much golf was completed. 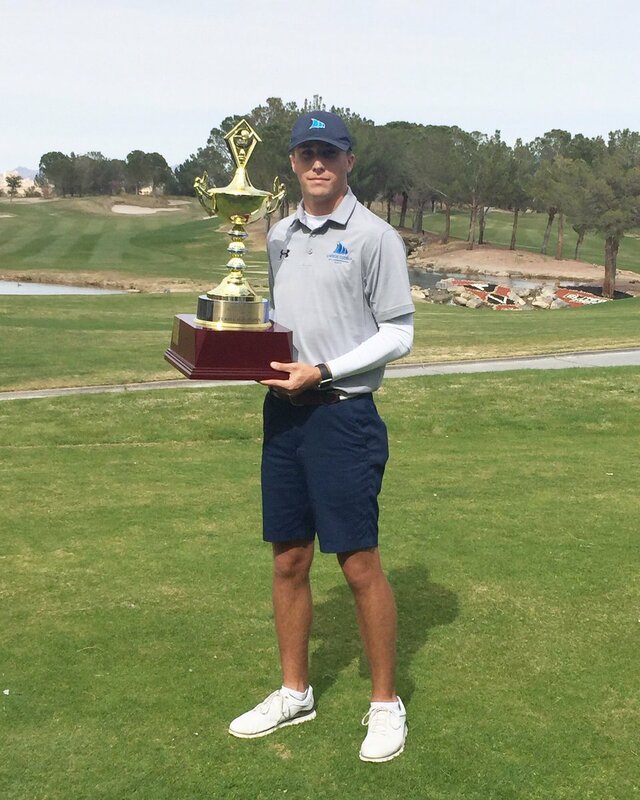 Tournament results will be posted immediately following play of each round the on the Junior Tour website and app. To access results please CLICK HERE, or use the Georgia PGA Junior Tour mobile app to access tournament results quickly via a mobile device. All scores will be sent to Junior Golf Scoreboard and Global Junior Golf Ranking no later than five (5) days following the event. Teaching sportsmanship, etiquette and the Rules of Golf are of major importance to the Georgia PGA Junior Tour. To promote these areas and to maintain the integrity of the Junior Tour the following guidelines for dress and conduct will apply. Tournament officials will enforce these guidelines at all Junior Tour functions. Male shirts shall have collars and sleeves. Mock Turtle Necks are acceptable, provided they adhere to the host facility dress code. Females may wear collared shirts, sleeveless shirts with a collar, or tailored T-shirts. Hats shall be worn with the bill to the front. During tournaments all participants must wear golf shoes with soft spikes or tennis shoes. Any Player or Spectator not adhering to these guidelines will be asked to leave or correct the violation prior to participating. Throwing and or breaking clubs. Using abusive or profane language. Damaging the golf course intentionally. Disrespect for the host facility staff, Junior Tour staff, sponsors, spectators or other players. Any breach of the above guidelines will result in disqualification from the event where the incident occurred. You will also be disqualified from the next event in which you are entered without refund. Continued violations will result in dismissal from the Junior Tour. All players are expected to maintain the golf course by repairing ball marks, raking bunkers, replacing divots, etc. Any abuse to the course or other club facilities will result in immediate disqualification. All players and parents are encouraged to thank the host club, staff, and volunteers for their support of junior golf. Spectator carts will be allowed at the discretion of the host facility. Information as to whether spectator carts will be allowed will be on each tournaments website. Spectator carts must remain on the cart path at all times. Please be aware of groups in front and behind the group you are following. Cost of a spectator cart is set by the host facility. Spectator carts are not allowed to give rides to competitors at any time unless designated by the Georgia PGA Junior Tour Rules Committee. Should inclement weather force a delay in play, we ask that you please shuttle players back the clubhouse or the nearest shelter. An immediate suspension of play is signaled by one long blast of an air horn or siren. Handicapped carts will be allowed for those who have a handicapped-parking pass at tournaments where spectator carts are not allowed. Cell Phones must be in the vibrate mode on the golf course. Spectators will be asked to return to the clubhouse if such devices are a distraction to players. Walking Spectators are asked to stay on the cart paths and 30 yards away from the players. Spectators are allowed to carry water, umbrellas, jackets, towels and food for the players. Spectators are not allowed to give advice to players. Players may be penalized for a violation under Rule 10.2 in the USGA Rules of Golf. Hand signals to the participant, including gestures to influence player decisions. Providing participant with written material. Positional to assist with aim or alignment. Aiding in rulings or giving rulings. 6. The player is responsible for the actions of their spectators. 7. Spectators may not carry a player’s golf bag and/or clubs. 8. Spectators are not permitted to walk on the fairways, tees or greens. 9. Spectators are encouraged to walk ahead of the group they are watching so as to act as a forecaddie and help spot balls. Spectators are allowed and are encouraged to assist in a search for lost golf balls. Spectators should not lag behind the participants as this can delay the group behind. 10. Spectators are asked to stay away from the players when turning in their scorecards in the scoring tent. Each player is responsible for his or her own score to be correct. Trophies will be awarded to the 1st Place in each age division as well as the Overall Boy and Girl Champion. Gift certificates will also be awarded to the top individuals based on the number of players in each age division. Ties will split points equally. 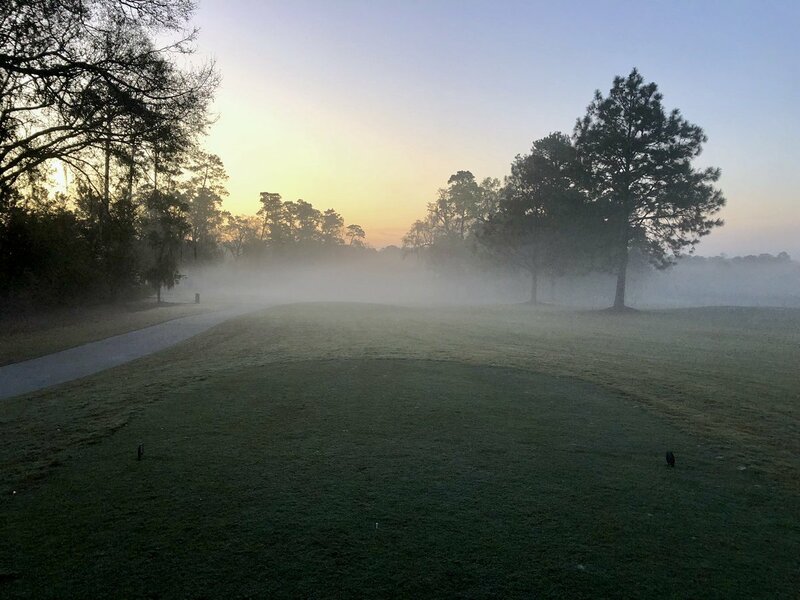 *Majors for 2019 will be the Georgia PGA Junior Championship and UGA Junior Classic*. **All awards will be determined following the last official event of the 2019 schedule. Player of the Year Awards will be given to the top player in the Boys 11-13, 14-15 and 16-18 and Girls 11-14 and 15-18 Age Divisions at the Junior Tour Championship Awards Banquet. 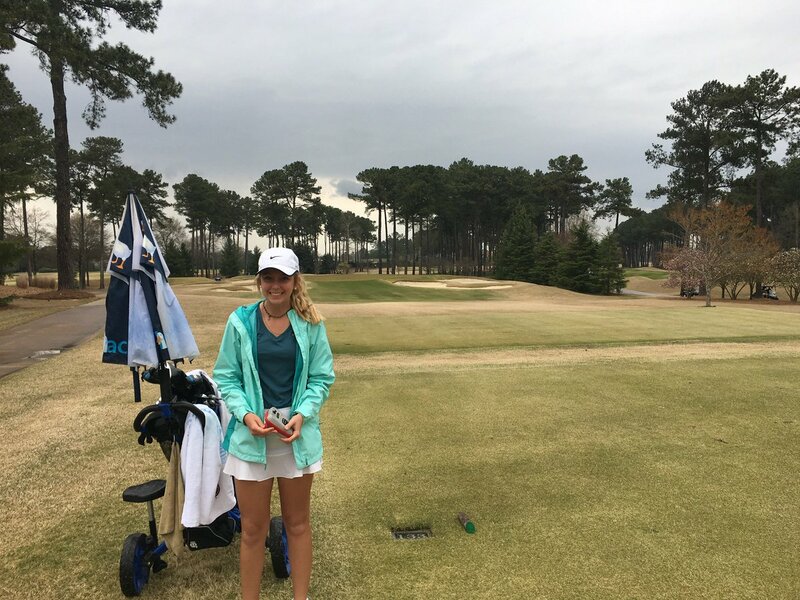 The 2019 Player of the Year in the Boy’s 16-18 age division will receive an exemption into the 2020 Georgia Open and the 2019 Player of the Year in the Girl’s 15-18 age division will receive an exemption into the 2020 Georgia Women’s Open. For Player of the Year Standings CLICK HERE. For Stroke Average Award Standings CLICK HERE. The top players from each age division will play in a season ending Tour Championship. In addition, to the top players in each age division, any player who won an individual age division in any tournament will be invited to play even if they have changed age divisions throughout the year and have lost their points. That person will play in their new age division for the Tour Championship. Any player who would change age divisions after the last regular tournament will not lose their Player of the Year points and will play in the age division they competed in throughout the year in the Tour Championship. These numbers are subject to change if there are not enough players to fill each age division. Considered one of golf’s major championships for juniors, the Junior PGA Championship is where the best in the world get their start. Beginning in 1976 at the Walt Disney World Resort in Lake Buena Vista, FL, the Championship has been a summer stop for many of today’s tour professionals. The Georgia PGA Junior PGA Championship will award the top 2 boys and girls the opportunity to represent the Georgia PGA Section in the Junior PGA Championship. The Boys and Girls Overall Champion will receive an invite to the Georgia Open and the Georgia Women’s Open respectively. * Boys 11-13 age division will play shorter tees and are not be eligible to advance to the Junior PGA Championship. This division will only play 36 holes of competition. Only players located within the Georgia Section are eligible to compete in the Georgia PGA Junior Championship. How to Register: Sign up online at http://www.georgiapga.com. Price: $160 for Boys 11-13 Division; $190 for ALL other divisions. The Georgia PGA is pleased to have the support of the AJGA. They recognize the Georgia PGA Junior Tour as quality competition for junior golfers. The AJGA will provide the Georgia PGA Junior Tour with Performance Stars for select events. For the latest information on AJGA exemptions, go online to www.georgiapga.com. Each Georgia PGA Junior Tour tournament will be a ranked event by the Junior Golf Scoreboard. You can access the Junior Golf Scoreboard at www.juniorgolfscoreboard.com. Each Georgia PGA Junior Tour tournament will be a ranked event by Global Junior Golf Rankings. You can access Global Junior Golf Ranking at www.juniorgolfranking.com. 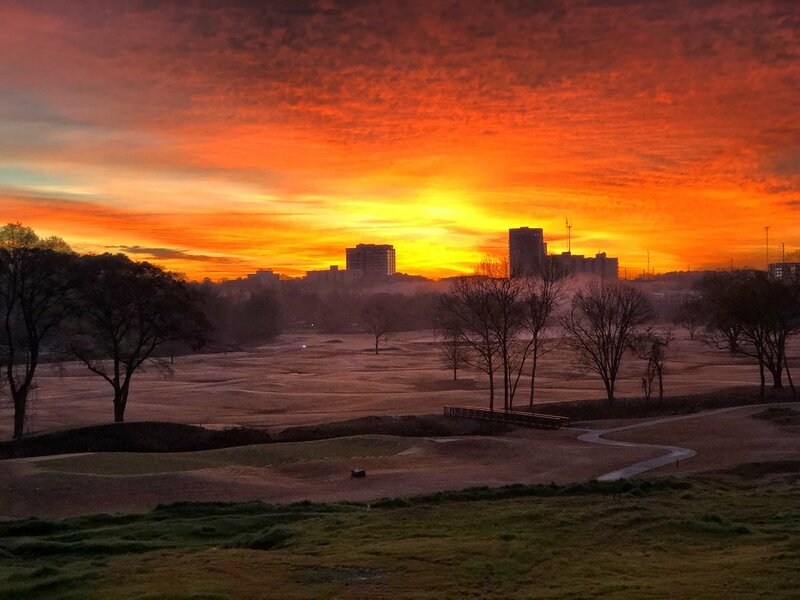 The Georgia PGA Junior Tour is designed to teach the values of sportsmanship, honesty, self-discipline, integrity and competitive spirit through the game of golf. This will be accomplished by conducting a series of competitions on some of the state’s finest courses and with the highest level of professionalism. Our mission is to keep costs low while providing first-class quality golf to the youth of Georgia. We strive to provide opportunities to those juniors who possess the potential skill and aspirations to compete at the high school or collegiate level, in addition to those who are new to the game. The purpose of the Georgia PGA Foundation Scholarship Program is to encourage and promote the attainment of higher education goals for youth who have demonstrated a high level of achievement during high school, have financial need and have shown an interest in the game of golf. Two scholarships will be awarded, the Bill Cowles Scholarship and the Chuck Edmonson Scholarship, in the amount of $2,500 each. Applications must be returned to the Foundation by April 30, 2019, with a deadline of May 10th for school transcripts to be submitted. Click here for more information and to download the application. After 17 years of developing junior golfers through some of the finest tournaments in the region, the Georgia PGA Junior Tour continues to see its members make the progression to collegiate level. The link below is a list of juniors and the college they attended out of high school that we are aware of. If you are not listed, please send your name and school to the below email. For more information please contact Michael Rakowski (mrakowski@pgahq.com) at the Georgia PGA at 678-461-8600. 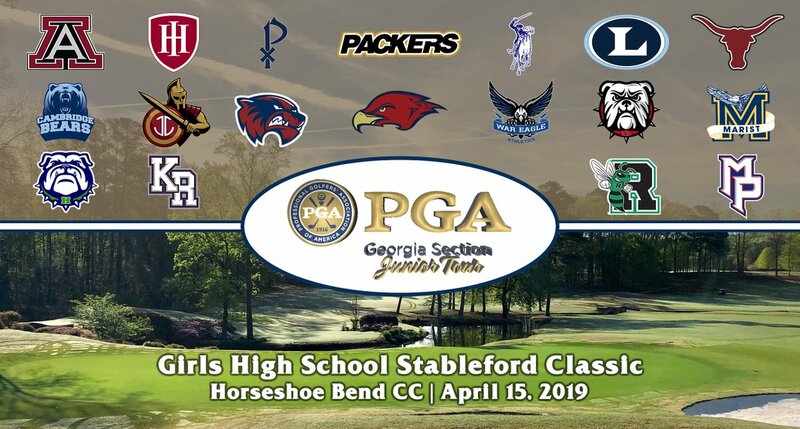 © 2019 PGA Georgia Section.